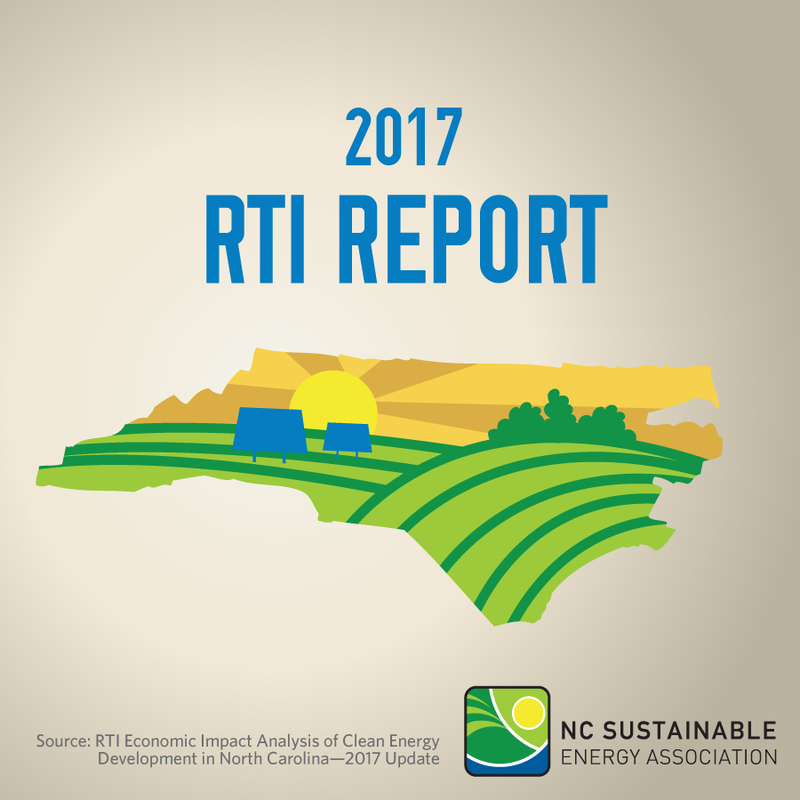 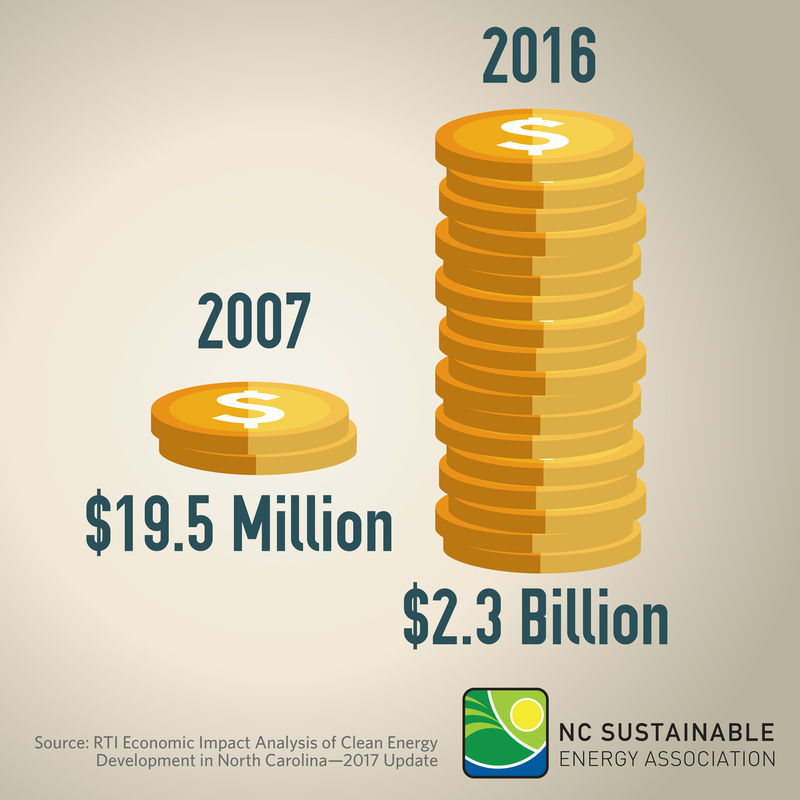 RTI International recently released a report detailing the economic impacts associated with clean energy development and energy efficiency initiatives in North Carolina. 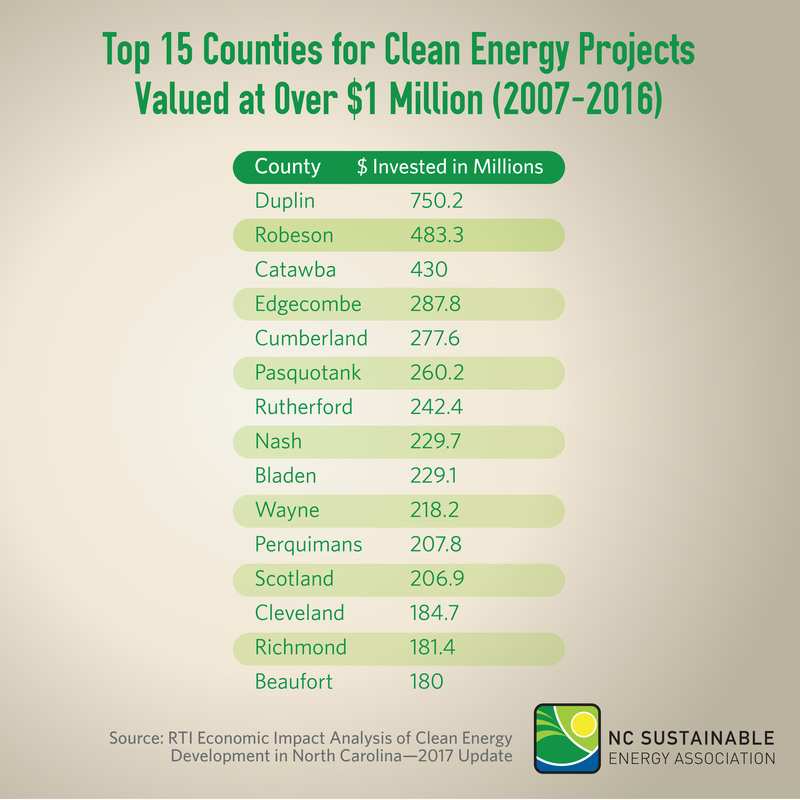 Using data assessing clean energy’s economic viability from across the state, the report discovered that approximately $10 billion was invested in clean energy project development leading to a total economic impact of nearly $18 billion. 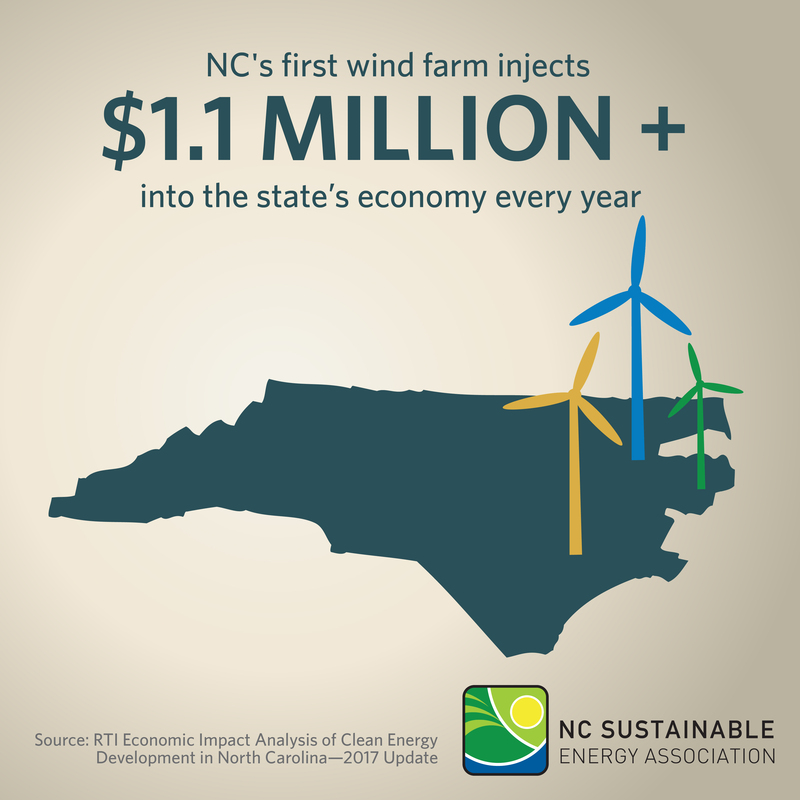 Notably, these investments were nearly 16 times larger than the state incentives for them. 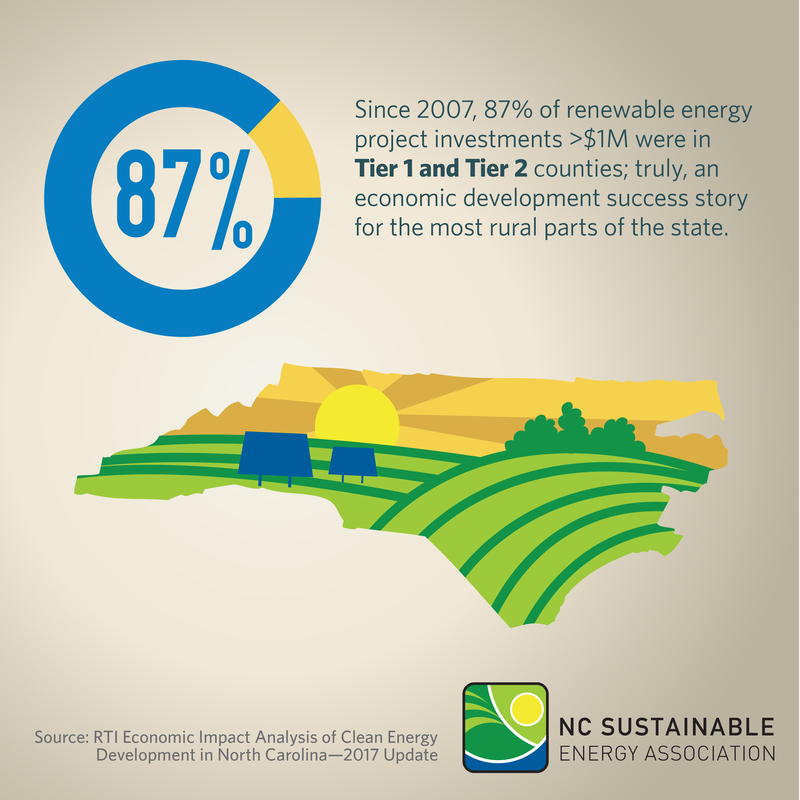 Additionally, 87% of these investments occurred in Tier 1 counties, the state’s 40 most economically distressed counties. 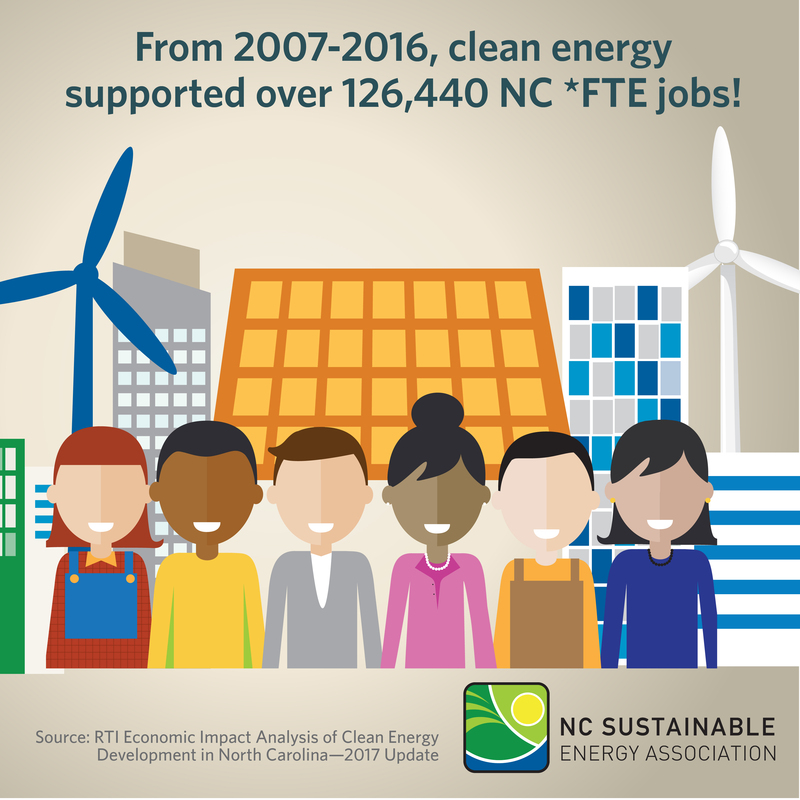 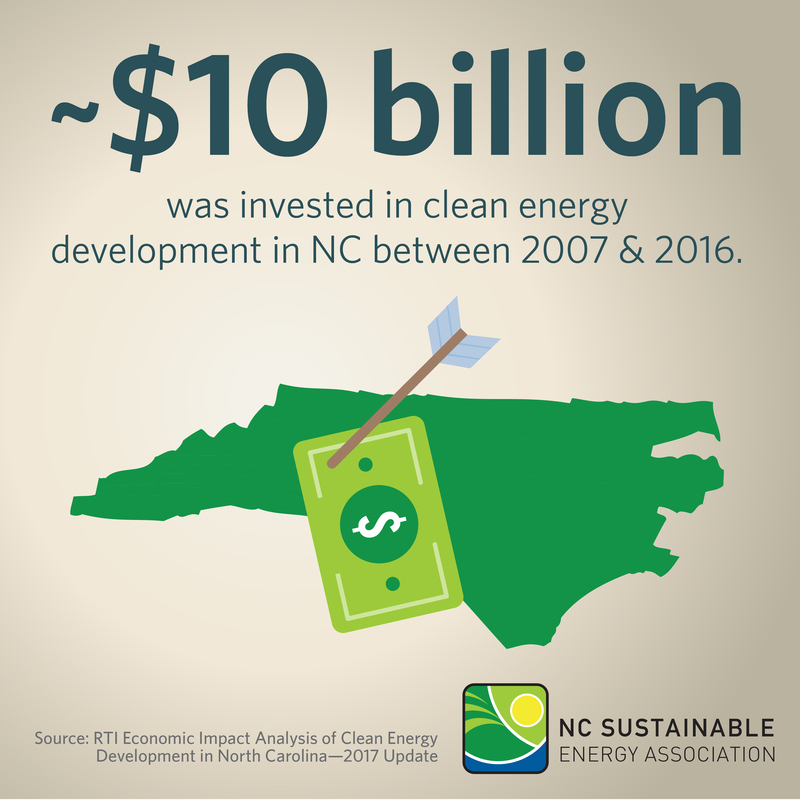 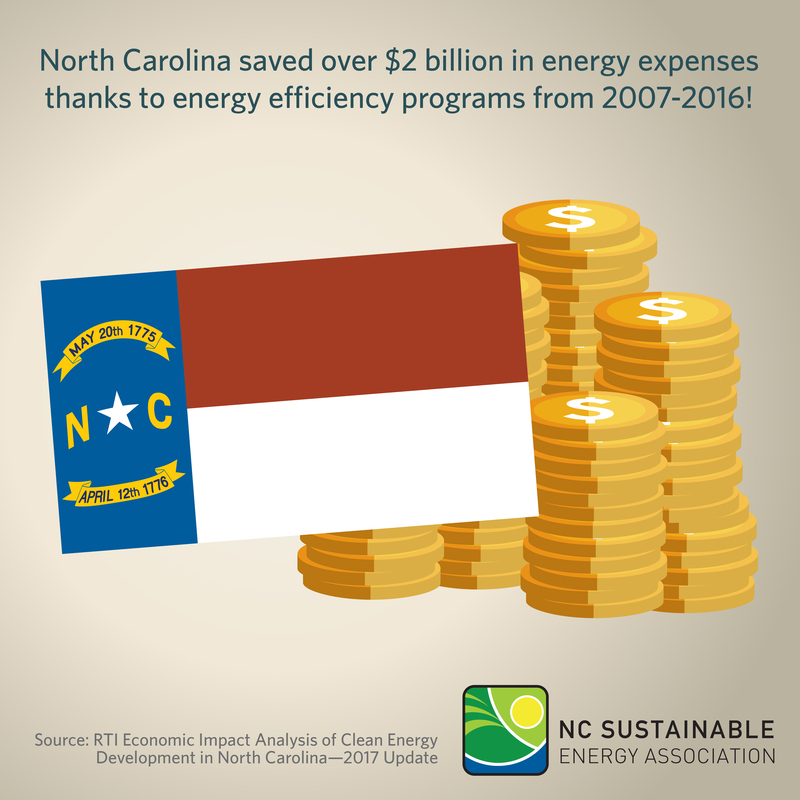 The report concludes that clean energy is working for all of North Carolina, and comprehensive energy policy could continue clean energy’s investment in the state.